Fitbit silently introduced two new fitness trackers last month, the Inspire and Inspire HR, but both are aimed at business customers rather. The next fitness tracker that will target consumers is quite … colorful. A handful of pictures leaked by TechnoBuffalo reveal what appears to be a kid-friendly fitness tracker. 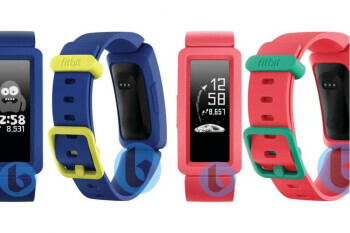 The wearable device will be available in multiple vivid colors, including red, blue and yellow, but additional options might be launched.